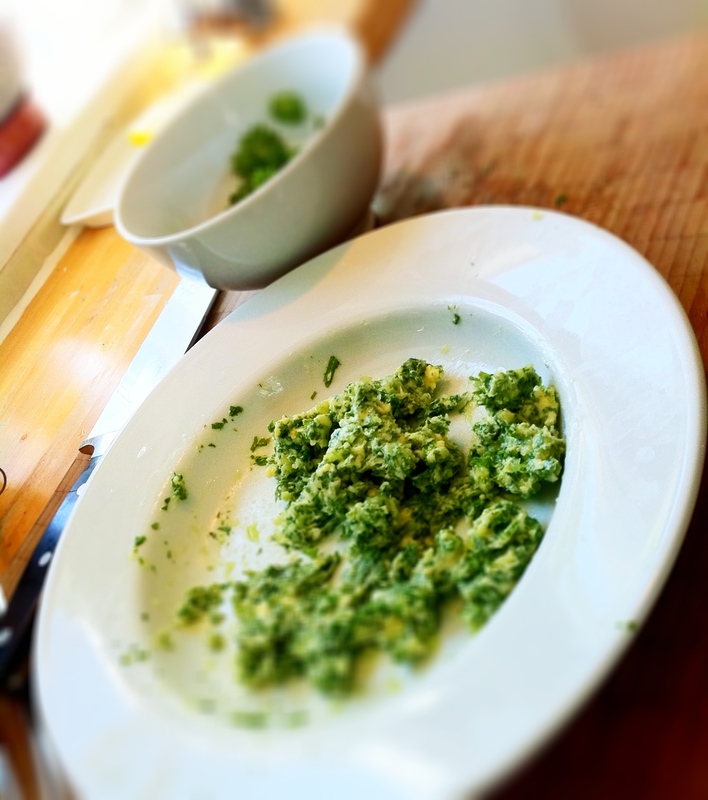 Use a fork to mash the garlic, butter and parsley together. Once mixed thoroughly, pop it back into the fridge to chill for 5 minutes. 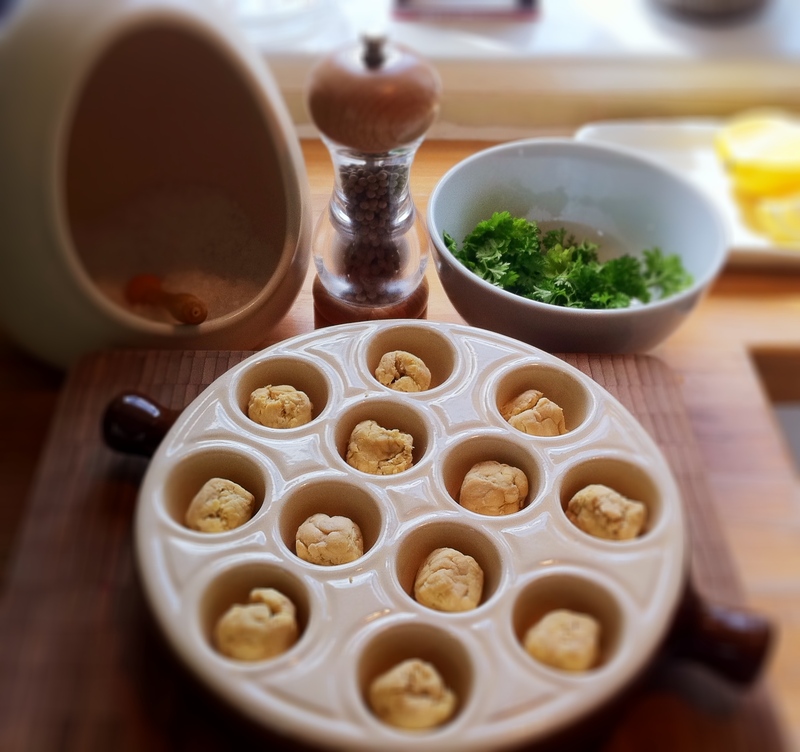 Smear ½-1 teaspoon sized lump of the garlic and parsley butter over each ‘snail’. 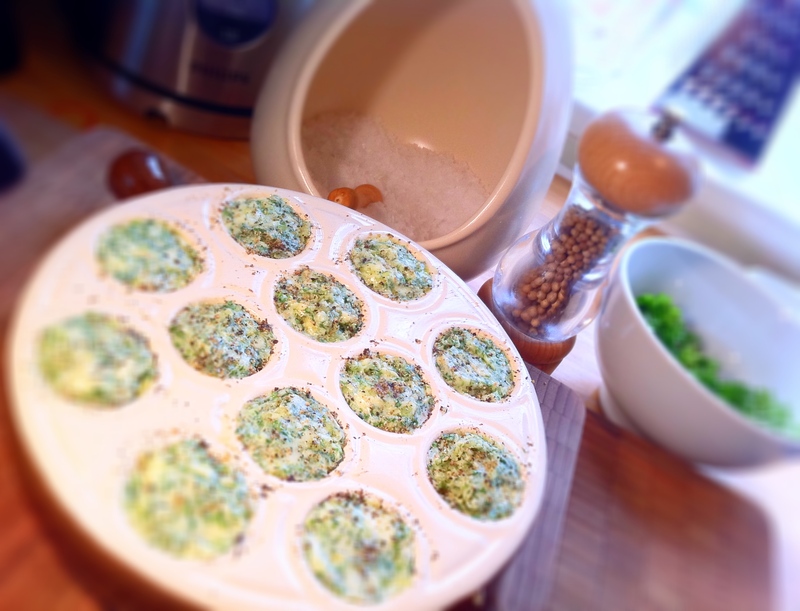 Sprinkle a bit more sea salt over the top and give the snails a generous dusting of black pepper. 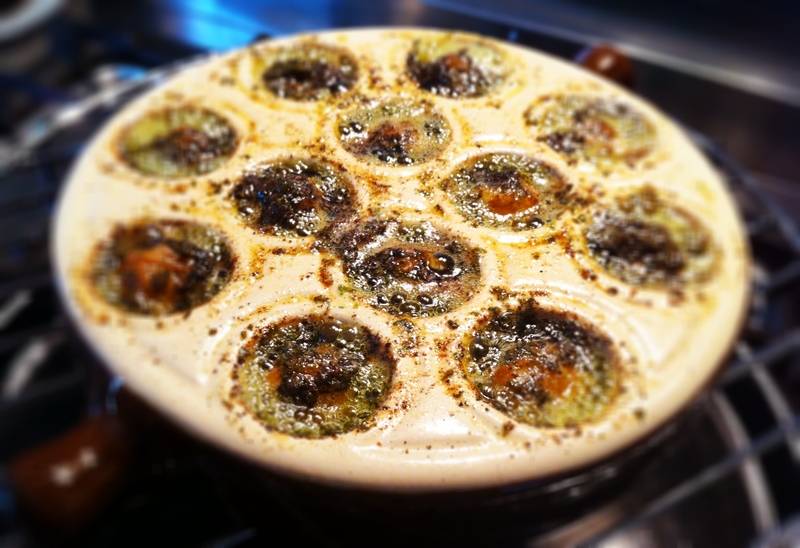 Bake your vegetarian escargot in the oven for 12-15 minutes on the highest shelf. Halfway through the baking, take them out and turn the tempeh over so all sides of the tempeh get a good browning! Serve with lots of crusty bread (for mopping up the butter) but do wait for a couple of minutes until the butter stops bubbling because these babies will be nuclear hot! Be warned, these are nuclear hot when they come out of the oven! matt’s going to make this for me! This recipe looks fantastic. What kind of pan is that? A muffin tin?